This conversation inevitably conjures up the Jackie O.’s and Audrey H.’s of the world—style icons that always looked polished, effortless and literally like they just woke up like that. We can’t all be that lucky (but we can try! ), so we pulled together our 6 favorite classic looks—with style tips of course—to help you achieve the ease & sophistication of the classic woman. A structured blazer is a must-have. At once basic and elevated, it pulls any outfit together. Wear it to the office over your favorite power blouse or like we styled it here: with the crispest white denim, cotton button-up and a coral clutch. We love that this wear-anywhere look can take you shopping on the weekends or to an impromptu lunch with old friends. Trust timeless silhouettes. Not too many things in life are certain, but we’re willing to bet that the wrap dress will never go out of style. Treat this as a closet staple and invest in several prints and colors. Not only is it universally flattering, but with a simple gold necklace and sandals, you’re ready for Sunday brunch or a casual night out! Keep accessories minimal and purposeful. We’re in the midst of a bohemian style resurgence (read: lots of bold patterns and arm parties). So be contrary and opt for simple pieces like skinny belts and minimal jewelry. 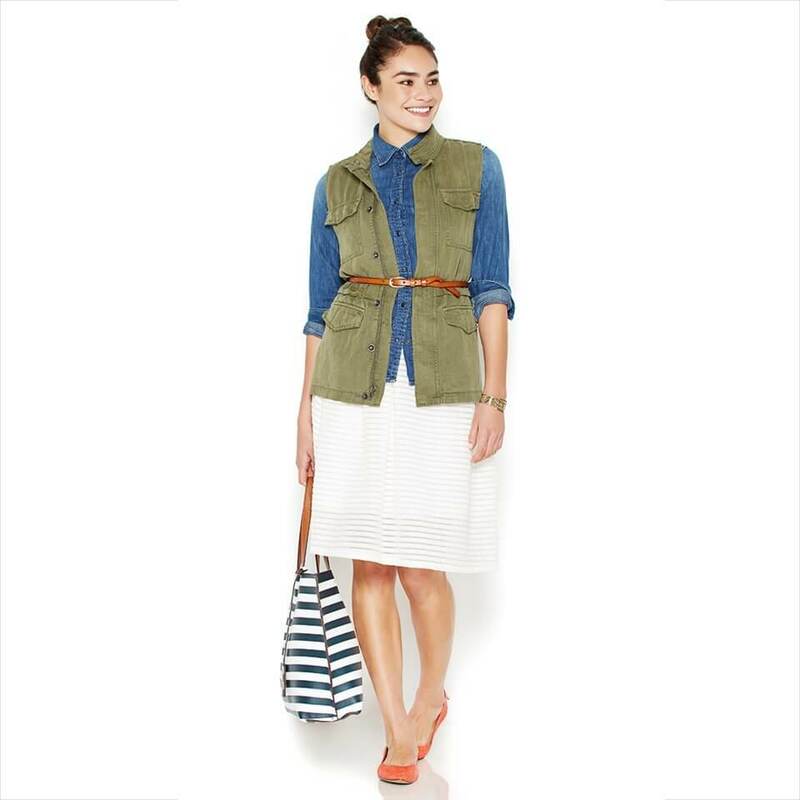 Belt a structured vest for a more feminine shape and pair with a girly fit & flare skirt. It’s the perfect answer to weekend window shopping. Simplicity is the statement. Classic style is all about no-frills & no-fuss. 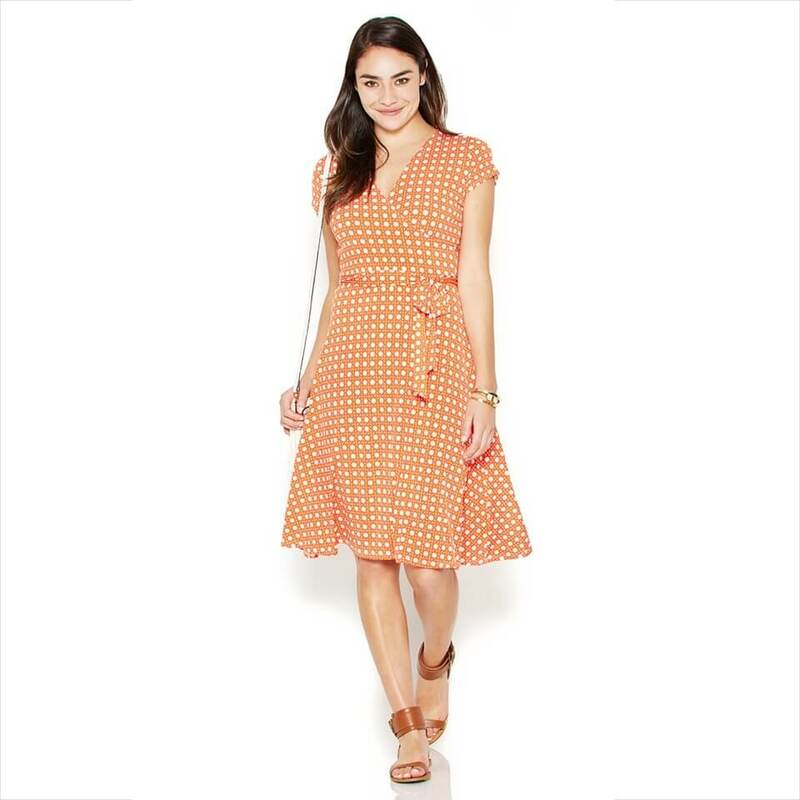 Keep a solid shift dress on hand to wear on those perfect sunny days. 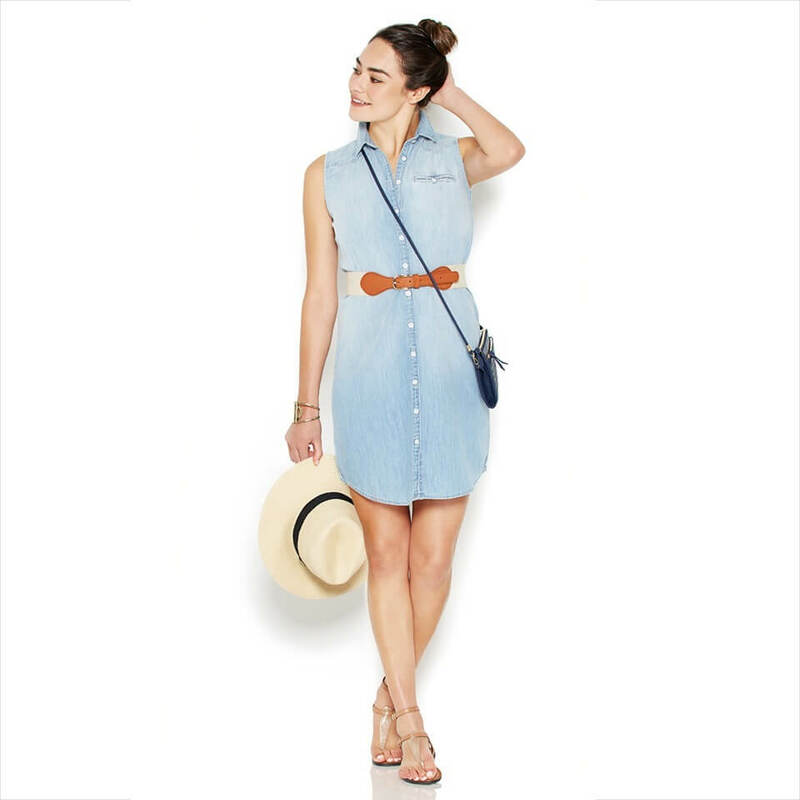 Belt it at the waist for more structure and pair with neutral T-strap flats and a basic crossbody bag. Striped T-shirts are your best friend! Channel the lore of cool Parisian women in this easy tee. Opt for thin stripes if you want less attention drawn to your top or go big if you want more impact. This effortless basic is the perfect piece to pair back to your favorite dark-wash denim or a military-inspired cargo short topped with a solid cardigan and an everyday tote. Have a crisp chino on hand at all times! Perfect jeans are a no-brainer in your closet, but don’t forget about their menswear-inspired counterpart. There’s just something fresh about a well-fitting chino paired back to neutrals and delicate jewelry. If you need a pop of color, wear a red or coral lip! Want to get the classic look, too? 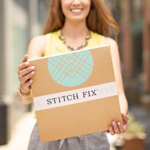 Schedule a Fix and let your Stylist know to include classic pieces!